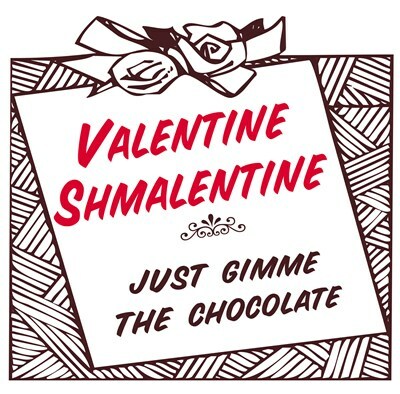 Anti-Valentine? 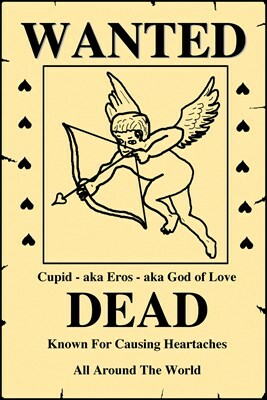 Cupid Wanted Poster says it all! AKA - Eros, AKA - God of Love. Wanted Dead, Known For Causing Heartaches All Around The World. For those that want to minimize expectations on Valentines Day, our "No-Cupids" thong gets the message across loud and clear. Are you Anti-Valentines Day? 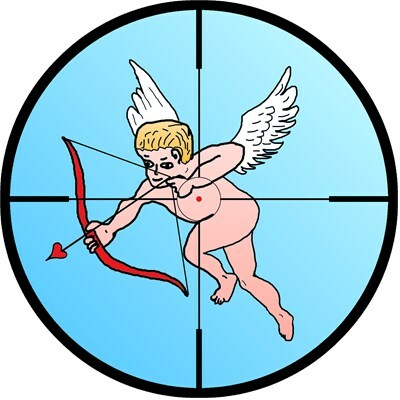 Do you want to make a target out of Cupid, put him in the crosshairs, and blast him out of the sky? 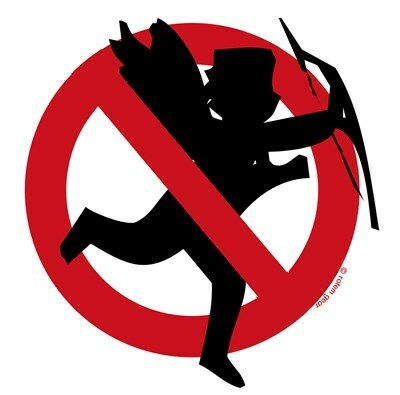 If so, go Cupid hunting with this drawing of Cupid in the gun sights!